What do you know about citrus? What do your clients know? 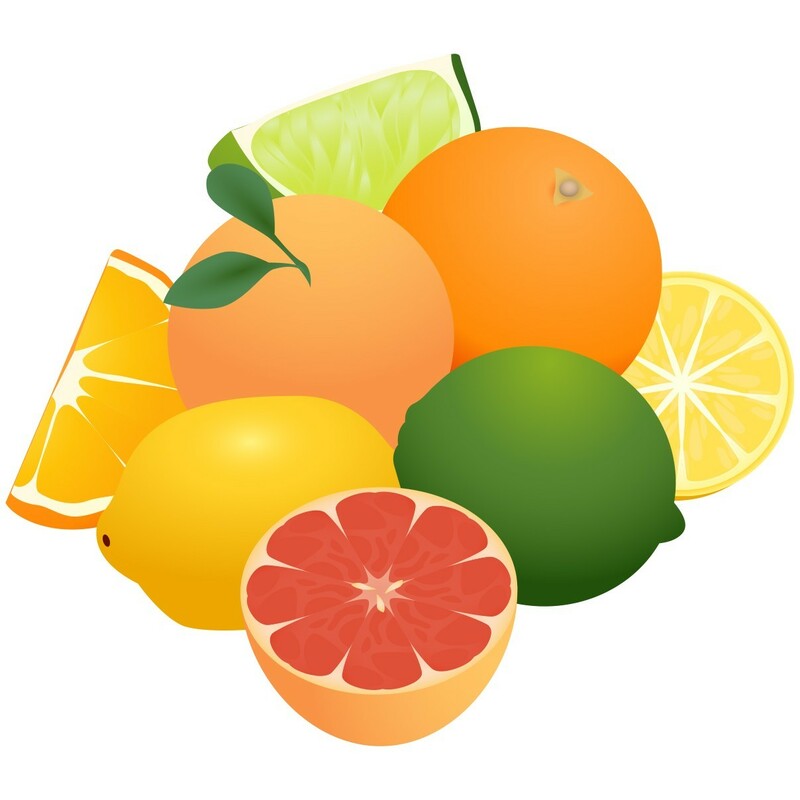 Today I want to offer a closer look at the basics of citrus -- what types of citrus fruits there are, what nutrients they contain, what impact on health they can have, and ways to incorporate them into a healthful eating pattern. There's even a new handout, if you know where to look! There are tons of different citrus fruits, from the Indian wild orange to the Australian desert lime, but today we're going to focus on basic citrus types. 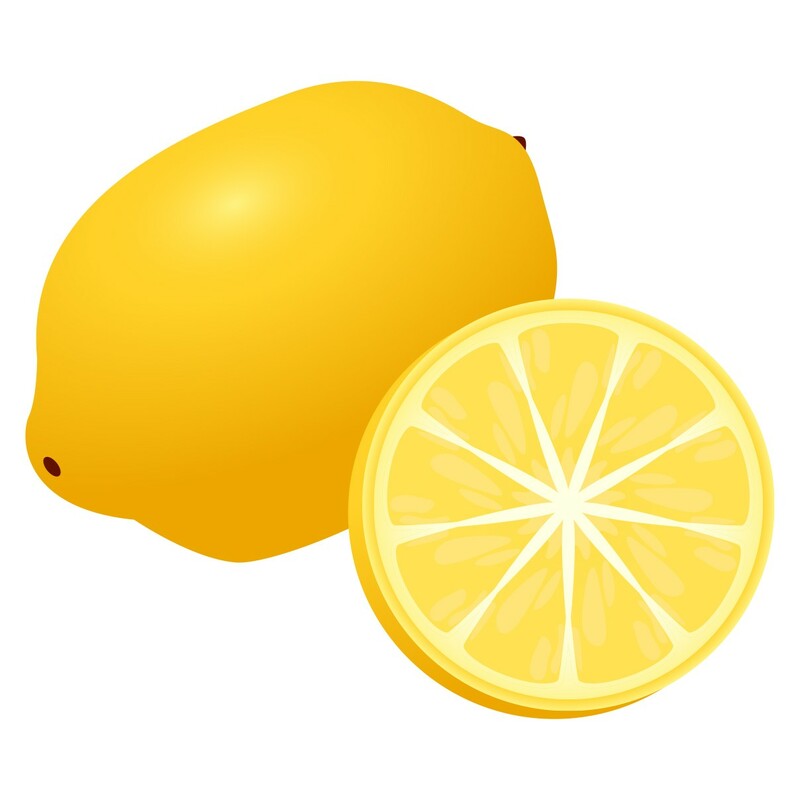 Lemons are one of the most popular kinds of citrus fruits. Bright and tangy, these sour fruits have a wide range of culinary applications, from juice to desserts. People use the zest from lemons, along with their juices and the flesh of the fruit itself. Lemons are sour enough that most people don't eat them out of hand, but instead use them to flavor a variety of dishes. Limes have a similar flavor to lemons, with punchy sour and gently floral notes. 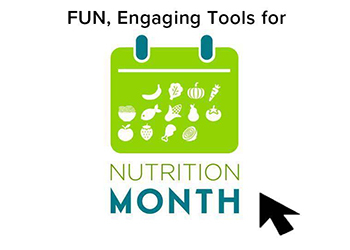 The zest, fruit, and juice all have culinary applications, from drinks to dinners to salad dressings, and more! 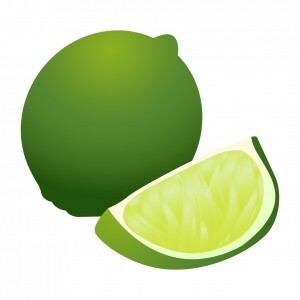 There are many varieties of limes; Persian limes and tiny key limes are perhaps the most well-known types. 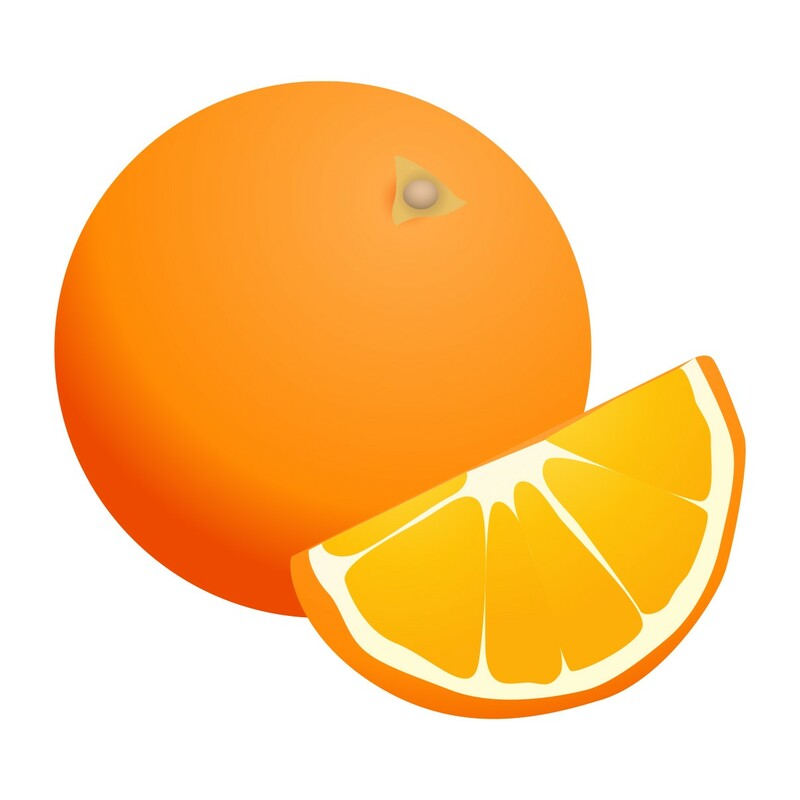 Unlike lemons and limes, lots of people like to eat oranges just plain. Their rich, honeyed flavor and delightful texture make for a sweet treat just about anywhere. Plus, their thick and hardy skins offer some protection to the fruits as they are transported, which makes oranges especially great as on-the-go snacks. Oranges are juicy and sweet. In addition to being very tasty when eaten plain, their juices are also popular, and people can cook with them as well. Grapefruit is yet another popular citrus fruit. Sweeter than lemons and limes, but more bitter than oranges, grapefruits are a treat to eat. 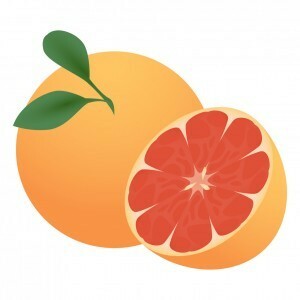 There are many different types of grapefruit, including white grapefruit and pink grapefruit. Try a glass of 100% grapefruit juice or peel a grapefruit and throw the segments into a green salad with avocado and a light vinaigrette for a tasty treat. Citrus fruits are well-known sources of vitamin C, which is key to good health. Vitamin C is an antioxidant that protects your cells from free radical damage. 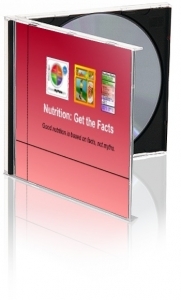 It boosts your immune system, reduces inflammation, and protects blood vessels. Some studies even indicate that it can help treat stress! As you can see, many of these citrus fruits are good sources of fiber, potassium, and folate. Each of these nutrients had serious health benefits, so let's take a moment to examine them all. Fiber is an important part of a healthful diet. Here is a small sample of fiber's health benefits, as summarized by the study Health benefits of dietary fiber, "Individuals with high intakes of dietary fiber appear to be at significantly lower risk for developing coronary heart disease, stroke, hypertension, diabetes, obesity, and certain gastrointestinal diseases. Increasing fiber intake lowers blood pressure and serum cholesterol levels. Increased intake of soluble fiber improves glycemia and insulin sensitivity in non-diabetic and diabetic individuals. 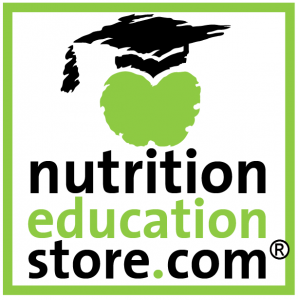 Fiber supplementation in obese individuals significantly enhances weight loss." 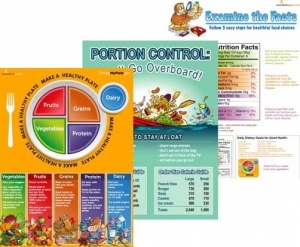 MyPlate and the Dietary Guidelines for Americans also highlight the importance of fiber when it comes to good health, asserting "Diets rich in foods containing fiber, such as some vegetables and fruits, may reduce the risk of heart disease, obesity, and type 2 diabetes" and "Children and adults should consume foods naturally high in dietary fiber in order to increase nutrient density, promote healthy lipid profiles and glucose tolerance, and ensure normal gastrointestinal function" respectively. 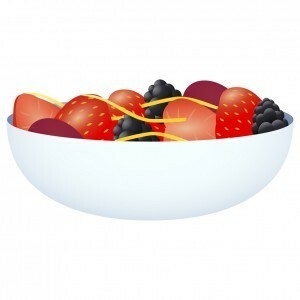 The bottom line: fiber is a vital part of a balanced diet, and citrus fruits have lots of it! Potassium and folate are also key to good health. 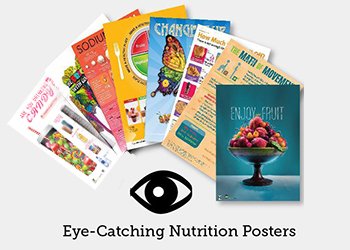 According to MyPlate, "Eating vegetables and fruits rich in potassium as part of an overall healthy diet may lower blood pressure, and may also reduce the risk of developing kidney stones and help to decrease bone loss." Unfortunately, most people don't eat nearly enough potassium every day. This can be bad news for blood pressure, since potassium reduces the impact of sodium on blood pressure levels. This concern is so significant that the Dietary Guidelines for Americans insist, "In view of the health benefits of adequate potassium intake and its relatively low current intake by the general population, increased intake of dietary potassium from food sources is warranted." Folate is similarly important for good health, especially for women who could become pregnant. You see, "Folate (folic acid) helps the body form red blood cells. Women of childbearing age who may become pregnant should consume adequate folate" (source). The study, Nutritional and health benefits of citrus fruits, also sheds light on the importance of folate, highlighting its role in the prevention of birth defects, boosting cognitive function, and reducing homocysteine levels. I want to conclude our discussion of citrus fruits and their health benefits with this summary from that same study. "Citrus is most commonly thought of as a good source of vitamin C. However, like most other whole foods, citrus fruits also contain an impressive list of other essential nutrients, including both glycemic and non-glycemic carbohydrate (sugars and fiber), potassium, folate, calcium, thiamin, niacin, vitamin B6, phosphorus, magnesium, copper, riboflavin, pantothenic acid, and a variety of phytochemicals. In addition, citrus contains no fat or sodium and, being a plant food, no cholesterol." 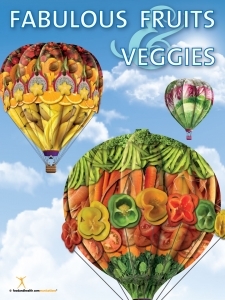 What a great part of a healthful diet! Juiced. In moderation, 100% fruit juice can be part of a healthful diet. Orange and grapefruit juices are tasty on their own, and lemon or lime juice can add fresh flavor to water or unsweetened tea. Chopped. Peeled and sliced citrus fruits can pep up any fruit salad (or green salad, for that matter). I recommend this approach with oranges and grapefruits, though a slice or two of lemon or lime can add a serious flavor boost as well. Zested. Citrus zest is heavenly in baked goods and can also pep up stir-fries and sautés. Here are a few great citrus recipes. Which will you try first? 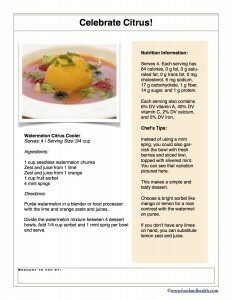 Here's a handout with the watermelon citrus cooler recipe. 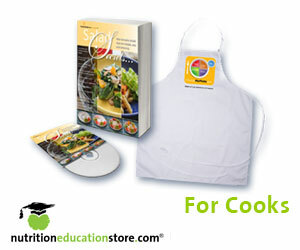 It's the perfect accompaniment to a presentation about citrus fruits or a healthful diet. Of course, it's also great in a variety of other applications. 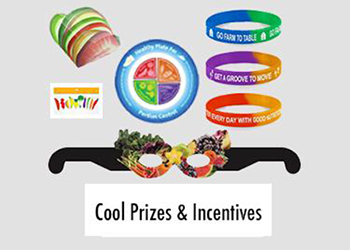 How will you use this free handout? 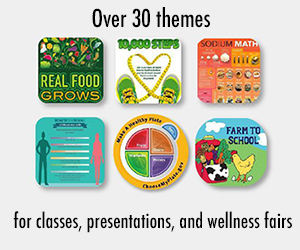 And don't miss these amazing nutrition materials from the Nutrition Education Store!